San Francisco Golf Club - San Francisco, CA — PJKoenig Golf Photography PJKoenig Golf Photography - Golf Photos For Those Who Love The Game. 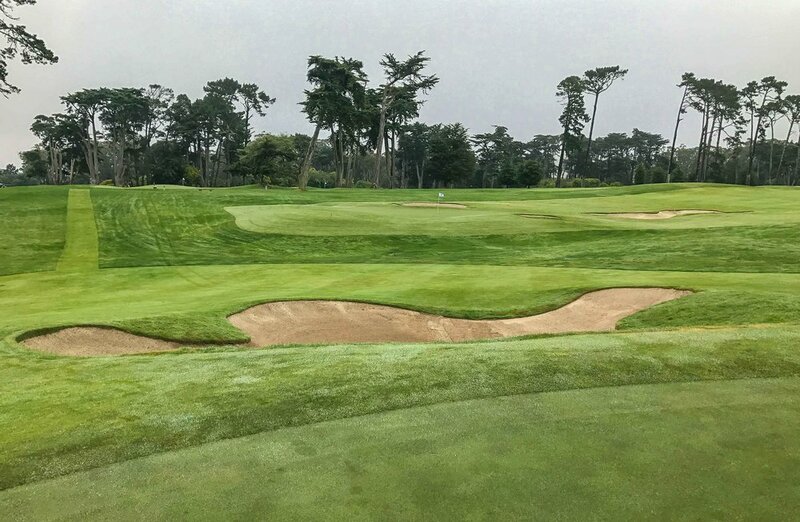 San Francisco Golf Club is one of the more exclusive private membership clubs in San Francisco. With a well connected and globally influential membership, the club has a very unique feel to it. 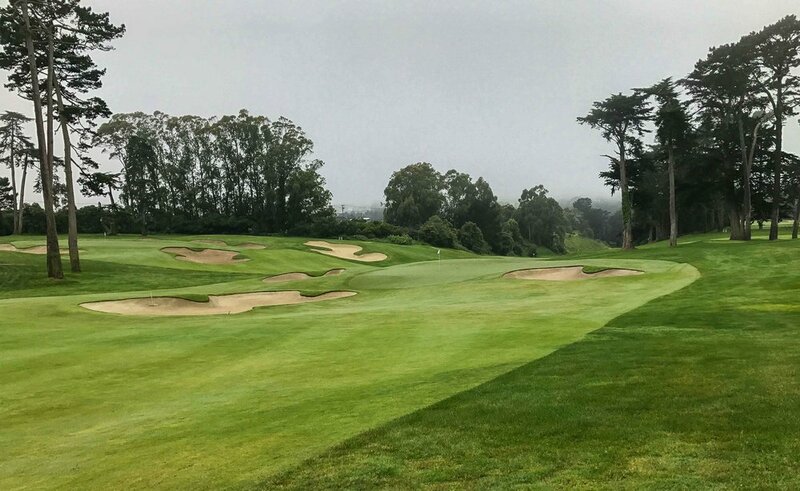 The club started in the Presidio area of San Francisco in 1885 as a nine hole golf course. It was moved to Ocean and 19th streets in 1904 and to its present location in 1915 where the course was designed by AW Tillinghast. San Francisco's 7th hole overlooks the site of California's last legal duel. Today, two granite columns, visible from the 7th tee box, mark the shooter's locations. Our host even pulled out a picture of the two duelists to bring the historic action to life. You can read the full story of the duel between the Senator and Chief Justice here.